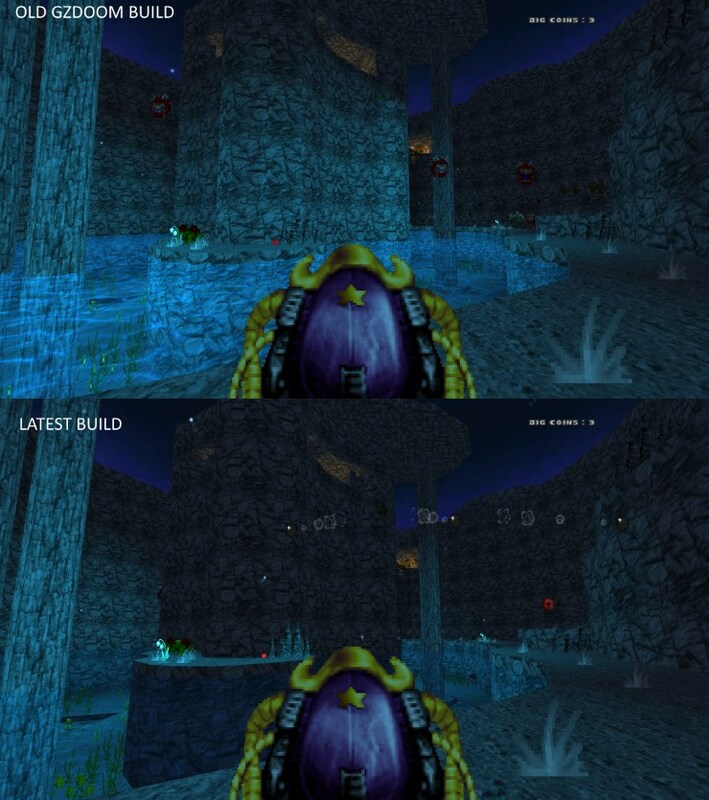 I've recently updated to the latest available build (gzdoom-x64-g2.2pre-1664-g18ebe92), and the level looks different, the area is mostly dark and the water texture is almost transparent, because of this some of the linedefs look very dark, is it intended? Re: Are dynamic lights and additive textures working fine? Yes, I disabled dynamic lighting of additive surfaces because I have seen several mods which used these as light gradients or for some volumetric fog effects and on those it looked extremely bad because the more brightly such a surface is lit the more it obstructs what is behind which is not how this should work.